Header photo: Colten Heagle jumping into action. It was nearly 9 AM on a dark Sunday morning when Colten got the text. It was from an insured customer he works with as part of the Choice Insurance team in Fargo, ND. “Hey, heard there was some bad hail,” he said. The next text was a photo. It showed a piece of hail the size of a golf ball. Golf ball sized hail from the thunderstorm. John* (the customer) lived about 15 miles out of Fargo. At the time the storm hit, he was with his wife at their lake home. He’d heard the news through friends, and that the damage was pretty bad. But it wasn’t clear just how bad until Colten pulled into town. Windows were broken, branches had been ripped off trees, and dead birds hit by the hail were scattered across streets and lawns. Windows were broken, branches had been ripped off trees, and dead birds hit by the hail were scattered across streets and lawns. 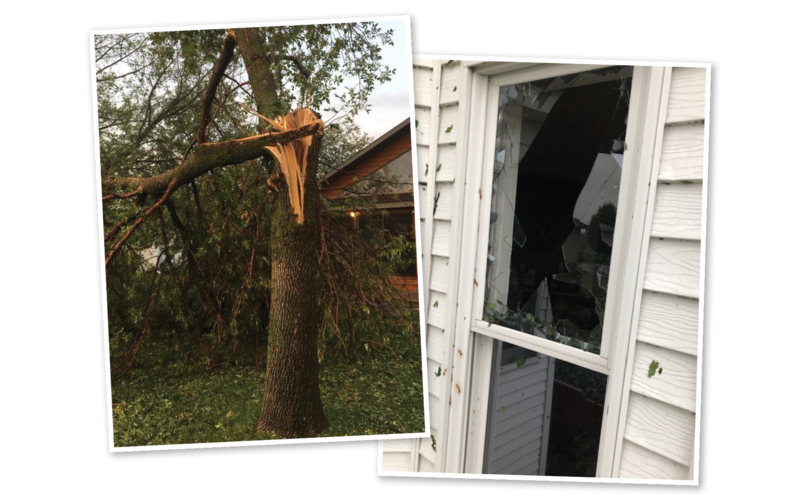 “I was shocked by how much damage there was, and I’ve seen my share of bad storms,” Colten said. And the storm wasn’t over; the rain was starting back up. Colten quickly headed to John’s house to assess the damage. There he found six broken windows, three of which were exposed. The rest of the house had taken quite a beating as well; the side deck and outside trim were damaged, and the roof was so dented that it would need a full replacement. “The first thing that went through my head was, ‘eliminate any more damage that can happen,’” Colten said. Before the rain got worse, he quickly used plastic sheets to board up the exposed windows and protect the wood floors of the house from any water damage. He then called John to let him know the extent of the damage. Thankfully, John took the news well, having been through storms before. An hour and a half later, John and his wife met up with Colten to look over the property. Colten helped sweep up the glass from the broken windows so John’s two dogs would be safe in the house. After reviewing the property damage with John and his wife, he also went and checked on other Choice insurance customers in the area to make sure they were doing okay. 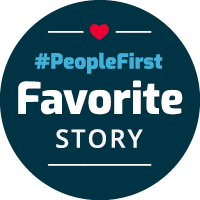 When he came into work the next day and told his coworker Chuck Klabo about it, Chuck was impressed. For Colten, it’s about putting yourself in someone’s shoes. 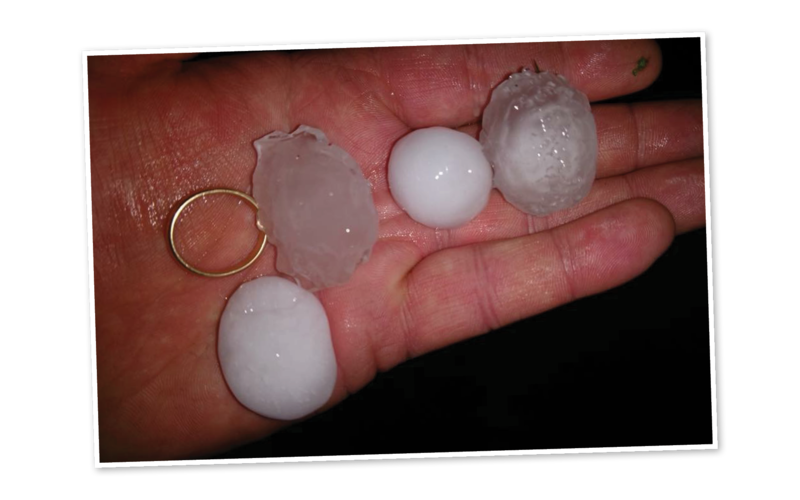 Having your property damaged by a major hail storm can be an unsettling experience; he wanted to make sure the customer knew they were in good hands. While the extent of the damages will take months for repair, John and his wife know that with Choice they have people who care for them and for their property. The fact that Colten spent his Sunday boarding their windows assessing the damage — the fact that he showed up — says it all.